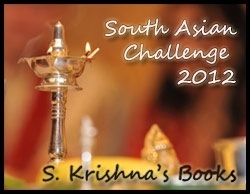 I discovered the South Asian Challenge recently through Stargazerpuj. Therefore, this year I am keen to take up this challenge. I’ll give myself a conservative estimate of 10 books to read, and I hope to God I can achieve at least that number. The first book on my radar is The Diary of a Social Butterfly by Moni Mohsin. Do you have any reading challenges you would like to take up this year? If not, try the South Asian Challenge, and tell me if you do so I’ll have more company!